Imagine a nation where there are no poor indigenes; a place where the average household net worth is a million US dollars. Where the people respect and cherish their leaders. Where the roads are brilliant and the cities beautifully and perfectly set; a place where married couples are given thousands in benefits; where unemployed are taken care of like princes. A place where healthcare is topnotch; where security is adequate; where the police are friendly and the leaders even friendlier. Where the people are directly involved in the system of government. A place that is a positive influence on its neighbors and around the world. Picture a part of the earth where the indigenous culture is cherished but there exists a seamless parallel of the best cultures and technologies known to man. A place where the best experts from around the world are employed to provide service. Where there is free education, housing, healthcare and social aid for all indigenes. A place where everyone has a palace-like home. Where on every street there are as many Porsches, Lamborghinis, Bugattis as there are houses. A place where every indigene is a landlord. If you could imagine all this, you have imagined the United Arab Emirates, UAE. This is what I saw on my visit, this is what I am eager to tell you about. I have been to quite a few places in my life. I have resided in America, one of the greatest nations in human history. I have traveled Europe and dwelt in Africa’s Nigeria and Ethiopia and visited Togo, Kenya, Egypt and Ghana. I have been in Russia and Saudi Arabia, and gone to school in Switzerland. Of course there are tons of places I am yet to visit, but I believe from what I saw and experienced in the UAE, that no picture can better paint the capacity and potential of man to build Utopia on earth than the fulfillment that the Emirates in the deserts of Arabia is. To appreciate the miracle that became of a desert, we must briefly visit the history of this living mirage. A vision of one man and the cooperation of nine million others. At the root of this success story is a Zephyr, a Sheikh called Zayed bin Sultan al Nahyan (1918-2004). Sheikh Zayed, a religious man, a hafiz-ul-Quran (one who has committed the entire Muslim Holy Book to memory) was a man of illumination who had a clear vision for the Persian Gulf. Sheikh Zayed primarily believed in the strength of unity and purpose, and thus pursued a course to unify the nine Gulf States. When in 1971 Britain abolished its protectorate over them, Sheikh Zayed, who was the ruler of Abu Dhabi, with his cousin, the then ruler of Dubai moved ahead to unify the Emirates. By December that year, Abu Dhabi, Dubai, Sharjah, Ajman, Umm al Qaiwain and Fujairah became a federation with Ras al Khaimah still hesitating. Dawlat al Imarat al Arabiyya al Muttahida or the United Arab Emirates (UAE) sovereign state was officially proclaimed on the 2nd of December, 1971. By February the next year, Ras Khaimah signed up and the seven emirates were complete. Qatar and Bahrain refused to join under the terms. Sheikh Zayed bin Sultan Al Nahyan, was elected by his fellow rulers as the first President of the UAE, and re-elected successively six times every five-years till his death. The unification of the divided Arab states was perhaps Zayed’s first wondrous feat. The new UAE set on a course to defy all barriers including geographical. This was (is) a stark desert, but the vision of Sheikh Zayed was to develop the new federation to compete with and supersede any standard in the world. A penchant for expedient change, Sheikh Zayed did not accommodate the word ‘impossible’ in his dictionary. When asked how the transformation could be achieved, he responded that they will hire whatever help they needed to achieve their set goals. A State was to be built that served its people; providing them with all necessities of life: free education, healthcare, homes, marriage and birth benefits, women’s rights, and all luxuries of modernization while maintaining its culture, and also ensured the security of its people with a common army and strategic regional and global relationships. Zayed wanted the best. Understanding man’s role as caretaker of his environment, Sheikh Zayed is known for his global role in environmental conservation and a green revolution. Researching, Zayed “discovered that 15,000 years ago the desert was green” (the forest carbon-life that became the oil-black gold of the desert today), and that “it was a drought that triggered desertification.” In 1946 he established the Al Ain water resources management system, an underground canal rigging system. He found a Pakistani man who shared his vision and at the end of the 1960s, in a tree-planting project, trees were imported, converting the desert into lush green land with beautiful shrubs, palms and grass. Today there are over 100 million trees in the UAE. Al Ain with 75 modern forests is called the “Garden City.” (See more here). 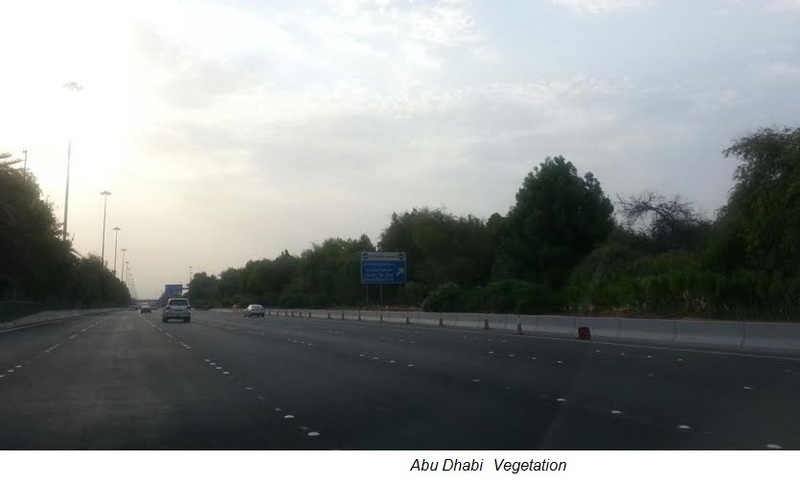 Even in death, Sheikh Zayed’s environmental vision still motivates – (see here). Perhaps this legacy can be called his second miracle, in no necessary order. Today the UAE boasts of the second largest Sovereign Wealth Fund in the world; over $1.2 Trillion. 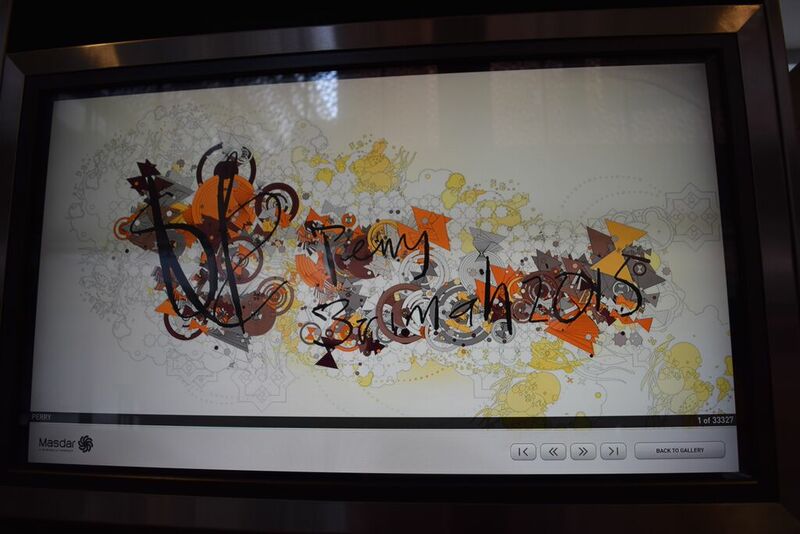 (See here and here). 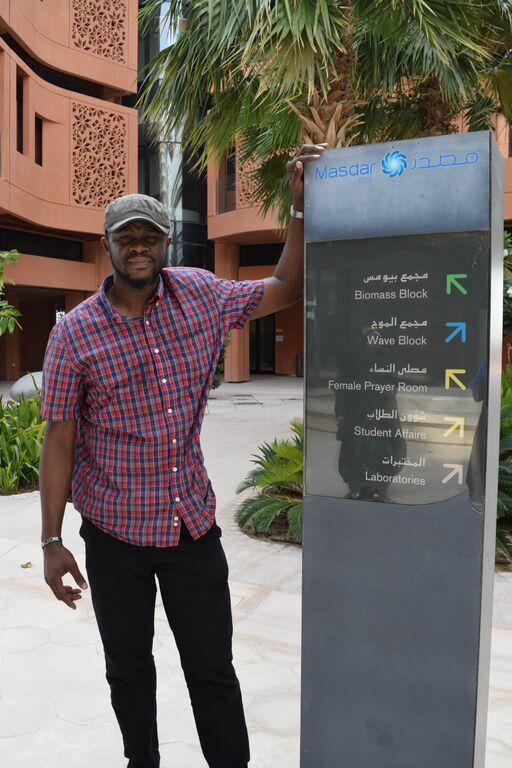 It only recently dropped to the number two position because the State embarked on massive new construction projects for its vision 2030 and “as a precaution” in recognition of the Arab Spring (pouring money into society to satisfy the populace – see here). Key to the policy of this rapidly metamorphosing new federation was the development of its human capital. In Zayed’s doctrine, capital is no more than providential trust and is a commodity that it is imperative to redistribute. Loans of $250,000 and below have been written off for thousands; families are given grants and next to nil interest loans to build homes and students are generously sponsored to college abroad. The UAE aggressively pursued development of its people. Today the UAE and Qatar have the highest adult net worth’s in the region with an average adult worth $130,000. Very few countries, Norway, Switzerland, Australia surpass the UAE in this category. The story of the development of Dubai is along the same lines with a clear vision and primary commitment to the people. We know Dubai as a mega tourist city, but perhaps we do not appreciate the degree of commitment involved in this success. Take a look at Emirates Airlines. In 1985, with little start-up capital, Emirates Airlines leased two airplanes from Pakistan International Airways to start-off the new carrier in fulfilling its vision. And from this it has become this world super transporter raking in $19 billion dollars and contributing a whopping 25% to Dubai’s GDP! Supported by the government, in the media these days Capitalist rivals complain that the UAE government gives Emirates an “unfair advantage.” Shouldn’t they? In the UAE there are some regulations that may discomfort. You cannot make VOIP calls to phones or any other free internet to phone calls. On the surface this looks like a fundamental restriction but do not get it twisted; this policy is to protect the government majority-share owned phone networks like Etisalat, a global brand. Whereas in capitalist developmental systems as adopted by Nigeria for instance under the Obasanjo regime, the private owns all and is free to exploit the populace in oligopolies. In the UAE model, public-private partnerships with government owning majority shares is the principle. 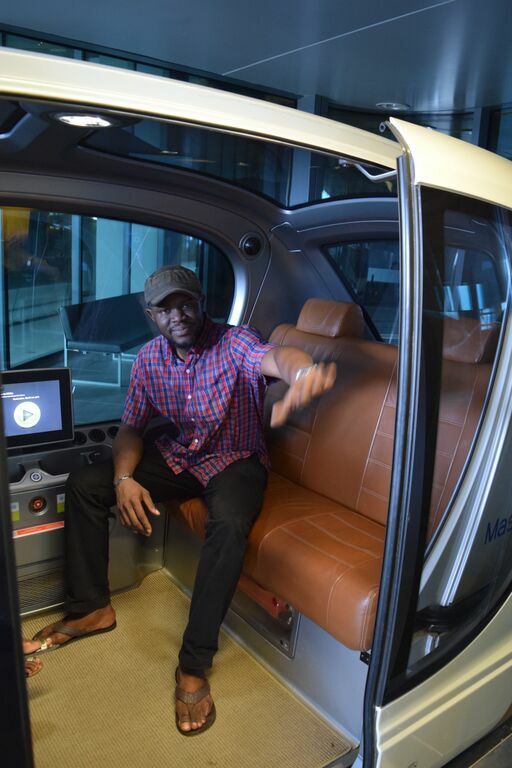 Thus the development of these assets builds national income as well as opportunity for the private sector. And the people see the results of patronizing Etisalat in top class infrastructure and benefits the government truly provides with its share of profit from Emirates, Etisalat and the like. A true system of governance by the people, of the people and for the people. The UAE is built on the political principle of direct democracy. Compared to representative democracy, direct democracy in my opinion is the most efficient, reasonable and successful system of democracy, at all times maintaining direct contact with the individual in their governance. Direct democracy is the only True democracy. Senators and Representative are known to disconnect with their constituencies; a fundamental flaw with representative democracy. Politically, it is interesting to note that the UAE practices true federalism. Each Emirate has its own internal structure, but all still centrally cooperate at the federal level. Each Emirate has their identity; laws and regulations, immigration policies, police, they even issue separate visas but which are acceptable in all UAE ports of entry! 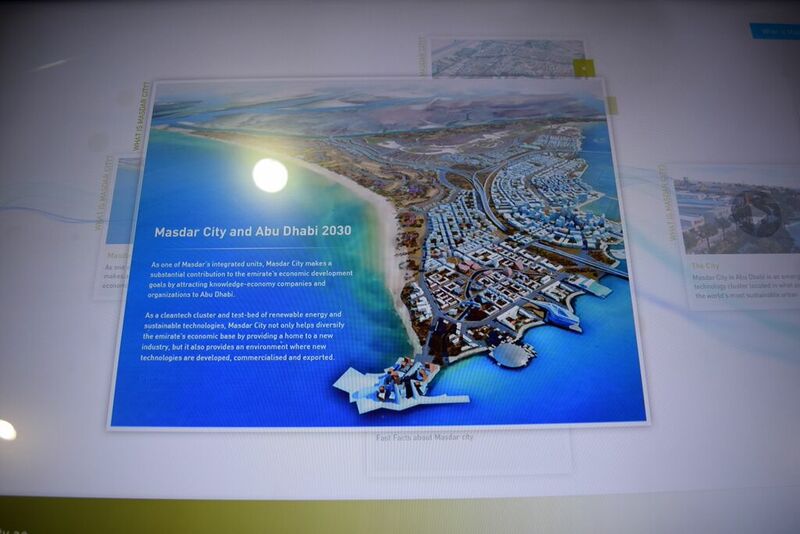 As part of Vision 2030 which spurred the radical and directed transformational development of the UAE, the development of the Western region was to be embarked upon, to modernize this desert area too like the Abu Dhabi main Island. To this end the government discussed with the people on whether they wanted all old homes torn down and an ultra-modern city built in stead. While the youth wanted this option, the old desired to keep their homes. Listening, the government decided to build a new city parallel to the old while replicating the old buildings in modern concepts in the new city. Both young and old would have their wishes. This was the result of two key points in the success of Zayed’s developmental model: direct democracy and preservation of history/culture. 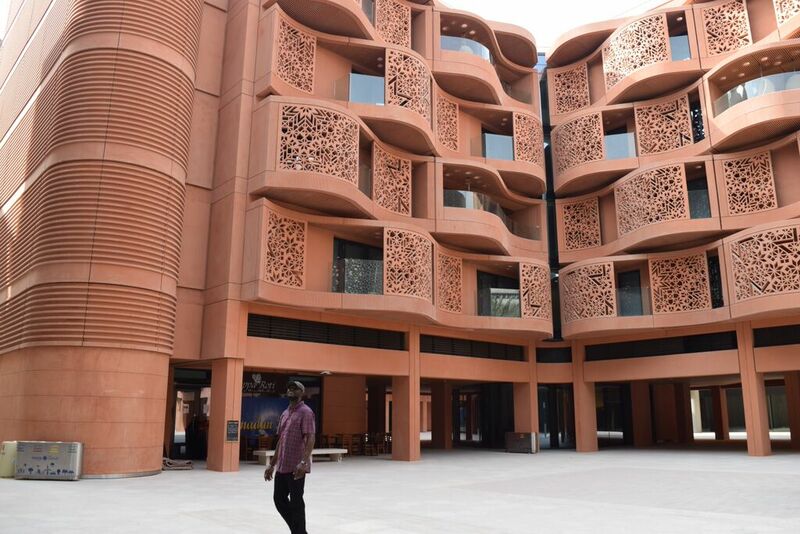 The UAE has preserved its culture and tradition while imbibing modern and foreign concepts. It is postulated that the reason for failed development and wealth devotion among many African rulers is their disconnect from their culture, language and heritage; with the full colonization of most African regions leading to a culture divorce. With English, French and Portuguese adopted as formal languages of education, instruction and communication and the colonialist’s tie and suit as formal attire, African states lost their heritage and being unable to be really white/Caucasian, resorted to corruption and the “foreign” habit of wealth amassing, through which they found they could “excel,” placate and satiate their socio-cultural vacuums and inferiority complexes. This presentation will not be complete if I do not describe what I saw and experienced as a tourist in Abu Dhabi. These were happy people. 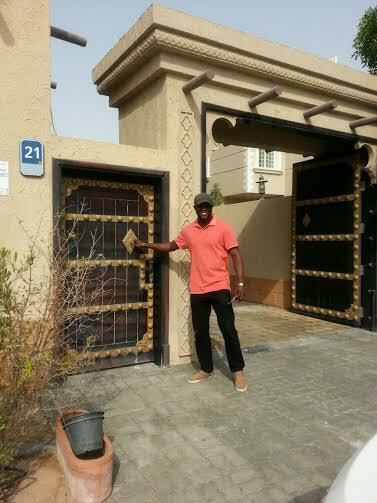 While there, I was fortunate to accompany my expatriate host as he went apartment (Villa) hunting. In every complex we visited there was at least one exotic car, a Bugatti, Maserati, Lamborghini, Ferrari, etc. As a man who believes the world today is unfair and it is always the 99% vs the 1% as obtains in capitalist societies, I used to think those YouTube video super cars were only driven by the affluent and that all wealthy Arabs I met in academia and work life here happened to be the daughters of “the Sultan.” I realized I have been an ignoramus all my life. Wealth was (is) routine! The government transferred wealth directly and indirectly to the citizenry. Negligible interest loans, grants and land allotments allowed them to build and the government paid for expatriates and supplements rent to enable property value and lavish returns. $40,000 a year was the average we we were looking to pay the Emirati landlord for one of his six villas. My host had paid off his exotic car loans in just a few years due to the negligible interest loans; a feat virtually impossible in capitalist societies. 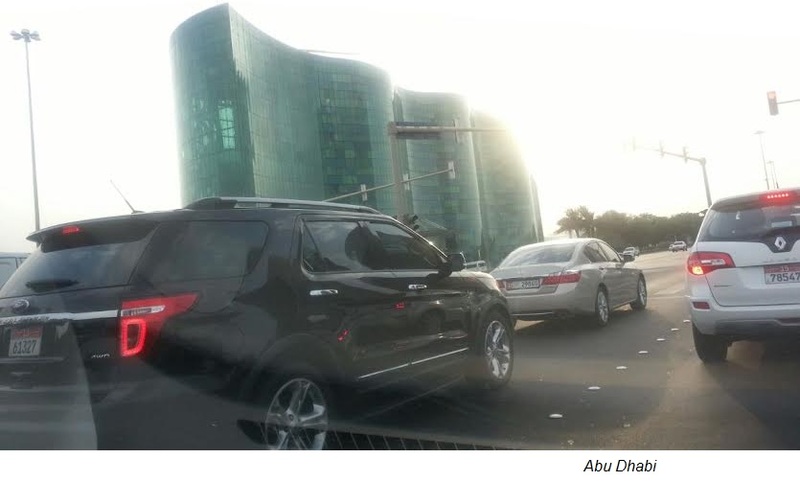 By inviting foreign investment and then conditioning it on partnering with an Emirati indigene (except in free development zones), the citizens were enabled to be easy shareholders in thousands of foreign businesses, FDIs. Social amenities were over adequate. I believe the community Mosques were built with government contribution because each was a masterpiece kept chilled even with doors wide open to the desert elements. The architecture preserved the culture. I felt like I was in “Arabian nights.” All homes or Villas we inspected were designed to the best standards but with a contemporary cultural base. They were not foreign designs. I have come to more firmly believe that it is essential to preserve ones culture to advance. If humans can adjust at all, they cannot adjust to dramatic cultural shock/transformation. The UAE is strong on cultural restriction – for instance frowning against improper dressing by tourists (this is usually seasonal and mild) but aimed at protecting the conservative culture of the society. The white flowing garb appears to be the formal attire of the Emirates. 90% of Emiratis dressed elegantly in their spotless white robes with the black Aqel rope on their Keffiyeh-scarf covered head. 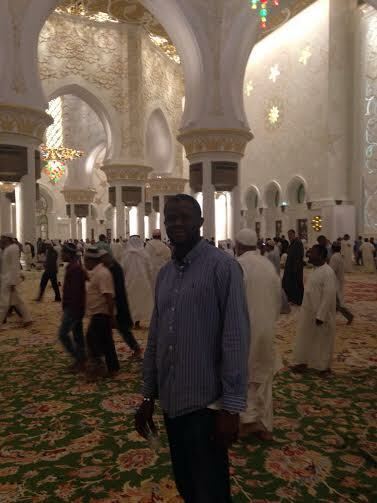 I had gone to the Dubai immigration office and asked a man in his robe for the officers. He replied, “that is me.” Security agents, even those on top of military gun mounted armored carriers protecting public infrastructure wear the simple white robe with just a yellow band on the arm.In the Emirates it is all about the indigenous people and how to give them the best. Expatriates are chartered at whatever high cost and so also is cheap labor hired at whatever low cost. The objective is singular: to provide the best for the people. The people are the true wealth of the Emirates in their leaders’ view. 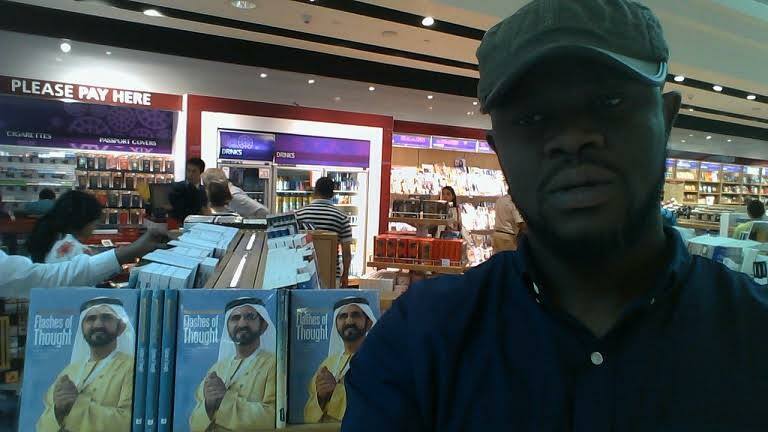 At the airport I saw books written by Dubai’s ruler and UAE’s Vice President Mohammed bin Rashid Al Maktoum. One was captioned, “Flashes of Thought” and another, “My Vision – Challenges In The Race For Excellence.” I was snowed. 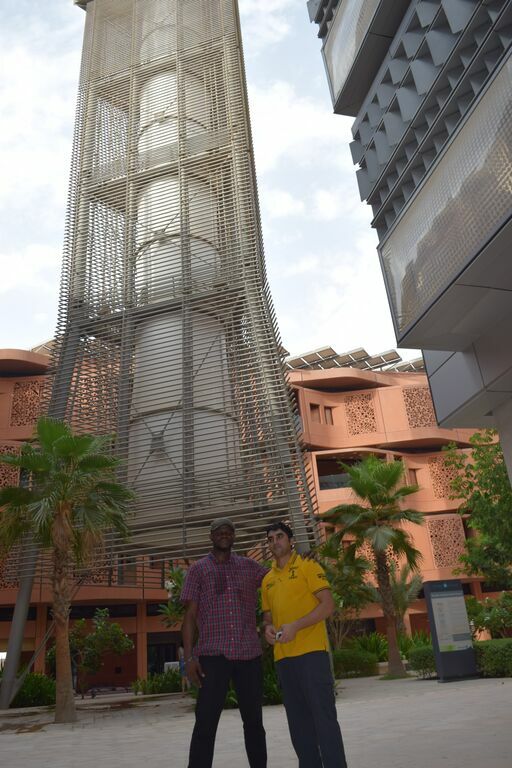 My visit to Masdar ultra-modern green city and campus, the renewable energy capital with its wind tower and solar ‘farm’ is a story for another day. Abu Dhabi is a wonder to behold. Date palms decorate the perfectly tarred or paved streets, with their load of ripened dates rotting, too many to be picked. I plucked one. Remember, this is a desert so it’s hot but you will be shocked to know that between moving from home to car to utility/amenity and business, all sufficiently cooled with air conditioners, Emiratis actually suffer from Vitamin D deficiency! Let’s rest here. I plead your indulgence for all I observed or explained in error. I only spent three days. UAE was not an economically sufficient country as of the time of “independence” from the British protectorates and the time of Zayed’s phenomenal vision. It is on record that Sheikh Zayed actually solicited for financial support from many countries, including some African countries (like Kenya and Nigeria) in the mid-1970s. Today, this flourishing nation has changed her story. It has become the source of Foreign Direct Investments to many African nations. Today, Emirates Airlines operates in many African countries providing jobs to those countries. 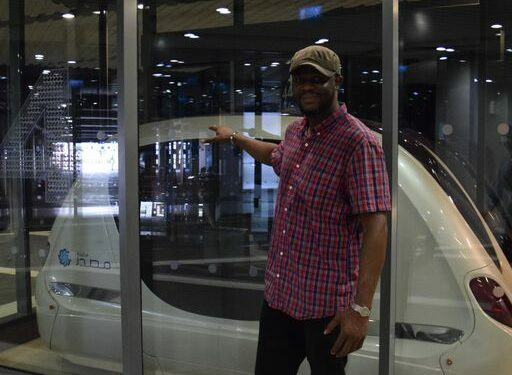 Etisalat Telecommunication Corporation, the UAE-owned telecommunication giant company invests billion of dollars in no less than five countries in Africa; improving their telecommunication infrastructure. My host who lives in Abu Dhabi told me that when he looks at how radical transformation happens in just spans of three months in the UAE, how when he visits other Emirates, such as Dubai, at every visit it is like the place has changed completely again, he never believes when anyone says it takes a year or longer to change a nation. Indeed the population is small and the money tall, but I think of wealthy Gabon with its small population too. I think of wealth distribution in the capitalist West and the corrupt abundantly blessed Africa. I think of the 100% privatizations with governments pretending helpless and hopeless and rescinding their role to protect, preserve and provide for their people by positively utilizing their power while maintaining their shares in State assets. I think of unity of nations as against division. I think of tearing down those walls. My nephew who was my GPS guide and took me around remarked on the importance of learning other languages. He said in chat forums for instance there are entirely new worlds we are oblivious to that we could read and interact with only if we understood. I had heard of but never realized what the UAE was. 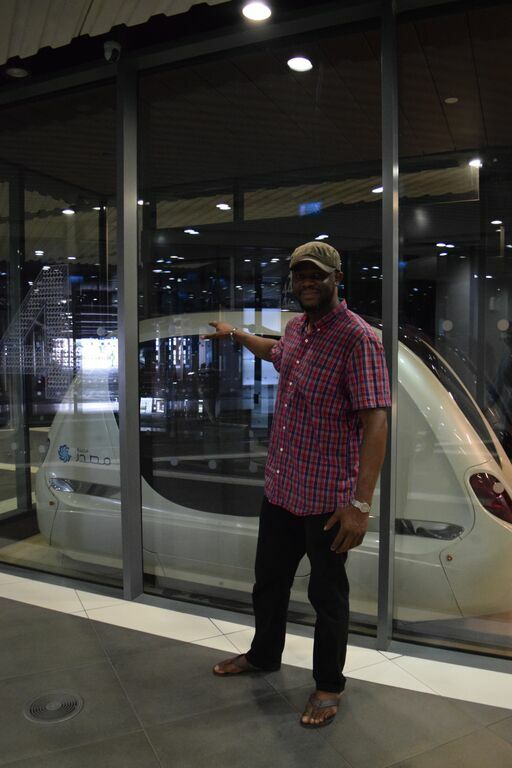 As I rode my free Emirates shuttle from Abu Dhabi to Dubai to embark on my flight to New York, and used my free airport cart, and then as I began researching to write this article with the free internet in DXB-Dubai airport (three things never free in New York or Abuja), I could only think about what was lacking in Nigeria from where I had embarked and what was lost in America to which I was peregrinating. I hope our leaders can understudy the UAE model in vision, unification, preservation and citizen capital development. My greatest takeaway is that sometimes you feel the world is ending, the rapture has begun; why bother? That’s what they told Zayed 80 years ago… that suffering and desertification was their terminal destiny, the recompense for their sins. The truth is; no one knows when the end is here. Have a vision and set out to achieve it. Zayed did so, and with God’s blessing, Utopia materialized in a desert.